Sloping and uneven floors are a common sign of foundation failure, especially in homes 15 to 30 years old. Sometimes sloping floors are obvious. But in other cases, they may be difficult to spot. Use a level to measure the floor or place a ball on the floor to see if it rolls. 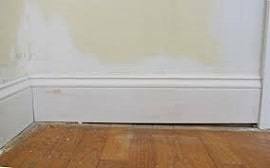 If your floor slopes, then you may have foundation issues. Sloping and uneven floors are caused by several factors. They can range from minor settlement to serious foundation failure. Regardless of what is causing your sloping floors, Jerry's Waterproofing can inspect your foundation. We'll provide the best foundation repair solution to get your sloping floors back to normal. If you suspect foundation problems, do not ignore them. Pretending that these issues don't exist only makes matters worse over time. 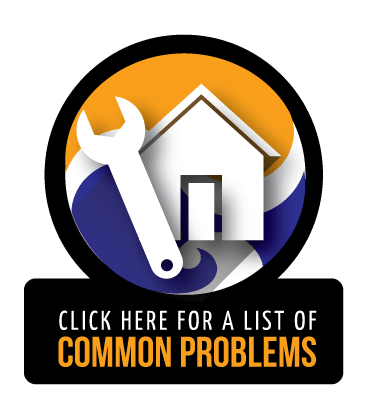 Look for other warning signs such as misaligned windows, wall cracks, ceiling cracks, bowing/leaning walls, settled porch or stoop, leaning chimney, or foundation cracks. 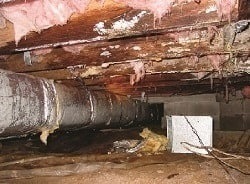 If you find these symptoms in your home, give us a call before the situation gets worse. We'll inspect the soil around and beneath the foundation to determine the cause of your sloping and uneven floors. Because sloping floors are a sign of foundation failure, hire our experts to install helical piers or steel push piers. Helical piers are hydraulically driven into the ground to reach the stable soil. They do not rely on the structure's weight to drive them into the ground, therefore they are ideal for lighter structures. Like helical piers, steel piers are pushed into the soil until they reach the stable soil. The structure's weight is evenly distributed among the piers. They are made to handle heavy structural loads for all types of soil conditions. Both types of piers are installed year-round to restore your home's value. They are quick and easy to install compared to other repair methods. They cause little to no disturbance to the work area and can be installed from inside of the home or outside of the home. For sloping or uneven floors in Iowa and Nebraska, contact Jerry's Waterproofing today. Our foundation repair products, by Earth Contact Products, are the most advanced products on the market. 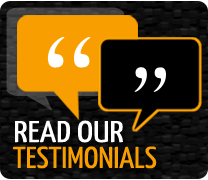 Contact us today so we can support and stabilize your floors.